There are millions of microphones out there, and it is wise to conduct a thorough research before getting one. 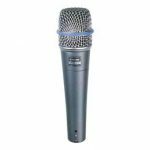 Whether for your personal use, a concert, or a live performance, you need a microphone that can handle the task without giving you a dull and lifeless feedback. 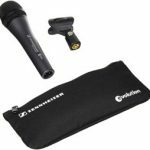 We would be comparing two Microphones and their specific purpose to help make your decision easier. 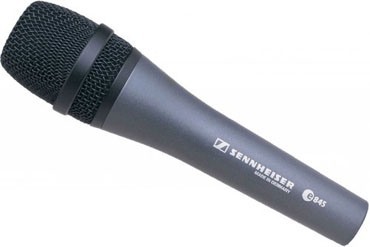 Sennheiser is a company that is known for producing quality microphones for over 70years now. They always put their user’s needs first before the invention of any new microphone. 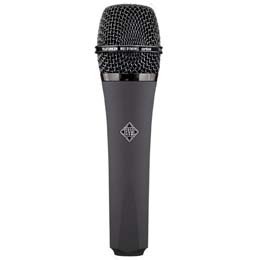 E845 is the perfect microphone for any occasion. You don’t need to put it extremely close to your mouth before it becomes loud enough for your audience to hear. Whether you want to use it for a presentation, rehearsal or even parties, it is a great fit, and it’s also very easy to use. With this microphone there are little or no spills when you use it, because it is a super-cardioid microphone. It offers side rejection to help you achieve a great sound. E845 offers you consistent sound quality irrespective of distance from whatever type of speaker you choose to use. The same sound that is being heard by those in the front would still be the same for those at the back. It is equipped with an on/off switch that makes it easy for you to turn on and off at any time. In essence it offers a high projection and clarity. 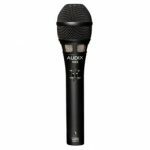 While on stage this microphone cuts through the high sound levels to deliver enhanced signal output. It comes with a pouch inside the box for easy packing, and 1 microphone clip. Because of its metal design it is able to withstand handling noise and also signal interferences. 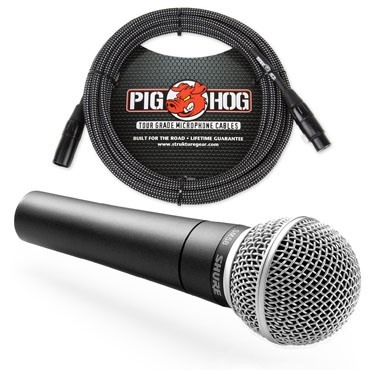 It is also one of the most durable microphones out there. And also it doesn’t have an overbearing weight; it feels really comfortable in the hand. It comes with a 2 year warranty, though it would take a whole lot of beating up to actually damage this microphone. This is better suited for live performances due to its rugged reliability. It has gained a lot of popularity because of its clear vocal reproduction. 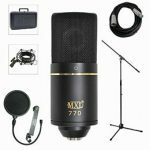 Whether you want to use if for a studio recording or give a speech, it provides a standard sound. It has an inbuilt shock mount system that guarantees maximum performance even with rough handling. It’s advisable to handle it with care all the same. With a bass roll off and brightened midrange, it’s not a surprise that most singers have a soft spot for it. Like the Sennheiser e845 it isolates your voice from the surrounding noise and echoes. Shure SM58 also comes with a break resistant stand adapter and it rotates 180 degrees. In the box, you will find a microphone clip as well. Most people make use of internal shock devices to cut down handling noise, but this microphone comes with an in built pneumatic shock system to reduce handling noise. The grill is well crafted to ensure easy removal, so that in cases where you need a replacement, or you need to clean it up, it won’t be a stressful process. There are so many duplicate of this product in the market, so it is important that you get from a trusted dealer, to enjoy the maximum capacity and feature of Shure SM58. Its high frequency lift dips around 7.5 KHz to prevent the vocals from making a hissing noise. They are both perfect in terms of durability, but SM58 has a slight edge. If you are looking for a clearer sound quality, then you can opt for the Sennheiser e845. Shure SM58 is a right pick as a no-fuss live mic, but Sennheiser picks up more details when recording both vocals and instruments. 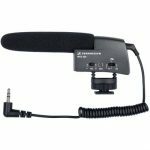 Click here to purchase Sennheiser e845 on Amazon.com! 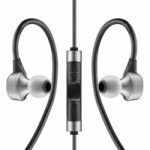 Click here to purchase Shure SM58 on Amazon.com!